Just some good news and then I have to go back working on my paper. 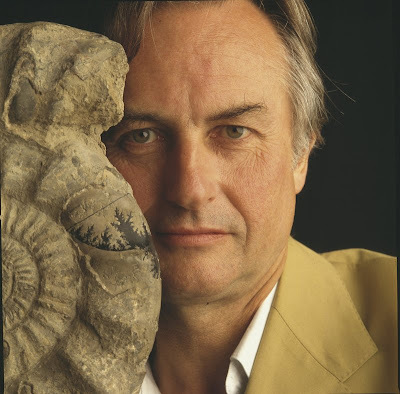 A couple of weeks ago, we (Hard-workers for Evolution) had a conference talk on Skype with Richard Dawkins and his assistant Paula Kirby because Dawkins was curious to find out about our group! We were extremely happy about this opportunity. Our meeting went great, we talked about our volunteer efforts of translating the UC Berkeley's Understanding Evolution website. Dawkins suggested this kind of work should be done in other languages. We already knew there is another group who started making trasnlations of scientific texts on evolution for Arabic. He was happy to hear this. We are hoping to work on this in the future, starting with a "How to translate a website" document that our group will write and this document will be available on Dawkins' website. I will be updating you as we progress. The other piece of news is, (and this makes me almost equally happy) the release of Turkish philosophy journal cogito's Fall volume which is dedicated to Darwin and his theory of evolution. I have an article there with Ömer Gökçümen: "Humans and philosophy under the light of evolution". Ömer Gökçümen is a post-doctoral researcher in Boston and without him, this article could not have been a quarter of what it is right now. It was a great pleasure working on this with him. Considering the strong anti-evolution movement in Turkey, it is always refreshing to see a respectable magazine dedicating a whole volume to the celebration of Darwin and his theory. Other Hard-workers for evolution contributed to this issue as well, and we are very proud of the outcome. I am planning to graduate in December. Very busy with the experiments because I am working on a manuscript. Next writing the thesis will begin. I always hope to write here more often but we'll see how it goes with paper and thesis writing.